I have written, edited, co-edited and initiated a vast number of books. Ranging from fiction, non-fiction, to children's- and educational books. Below, a few examples of my books. More in the link above. Nattbordboka - "The nightstand book"
A special book, - a new flower in the fictional flora. Inspiring , intriguing and thought-provoking stories and words of wisdom for contemplation . Some of Norways greatest authors contribute with selected stories. The Bedside book provides spiritual food , read it before bedtime. ​Contribution from: Kjell Askildsen, Øystein Lønn, Hans Herbjørnsrud, Jon Michelet, Merethe Lindstrøm, Bjarte Breiteig, Nina Lykke, Unni H. Kittelsen, Stein Mehren og Arne Næss. 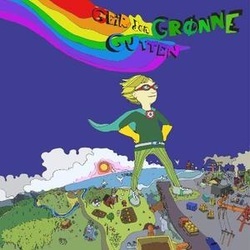 Geir den grønne gutten - "George the green boy"
George the green boy is not a typical superhero, he is a quite normal 11 year old boy, but he is brave and full of knowledge about the environment and knows what must be done to save the world from environmental disasters . When he discovers a oil contaminated fjord, he will not give up before the mystery is solved.